Could the traditional “tonic” responsible for the extraordinary strength and endurance of the ancient Vikings also be one of the top natural remedies for depression symptoms? For thousands of years, Russians, Scandinavians, and other people living in the high altitude arctic regions of Europe and Asia have prized the golden-hued roots of a bushy little plant officially known as Rhodiola rosea. This medicinal plant goes by a number of names, including “roseroot” (the fresh cut roots are said to smell like roses), “golden root,” “arctic root,” and “Russian ginseng” (it shares many of the same actions as ginseng, although it’s technically not related). Now, a group of Harvard researchers has reviewed the available scientific evidence for various natural remedies for depression symptoms, and Rhodiola has come to the forefront. 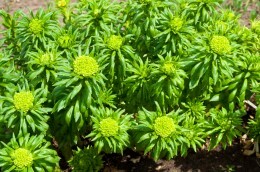 Rhodiola wasn’t just used by the Vikings. This herbal medicine has been used thousands of years for increasing physical endurance, work productivity and longevity, enhancing energy levels, and in the treatment of fatigue, depression, and infection. In today’s natural medicine world, extracts of rhodiola are known mostly as “adaptogens,” meaning they help the body adapt to stress and boost energy levels. And most of the recent research on Rhodiola has indeed focused on its use in treating physical and mental fatigue, especially as it relates to chronic stress. The use of rhodiola preparations as natural remedies for depression symptoms is not as widespread, but that could be changing. Last year, investigators from Harvard Medical School’s Depression Clinical and Research Program reviewed the scientific and clinical evidence for some of the “lesser-known” natural products that are starting to emerge as possible natural antidepressants. 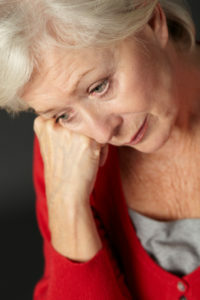 Although much of the human rhodiola research is available only in Scandinavian and Slavik languages and hasn’t yet been translated into English, the researchers noted, they found encouraging data for the use of Rhodiola in those depressed patients whose depression is characterized by feeling lethargic or weak and lacking in energy. When Rhodiola is given as a supplement to animals it consistently shows antidepressant-like effects. A human study in 89 patients with mild to moderate depression confirmed these results. In this double-blind, placebo-controlled study, subjects were randomized to receive either placebo or Rhodiola at two different doses (340 or 680 milligrams per day) for six weeks total. Before and after the six weeks, all subjects had their depression severity and symptoms assessed using a standardized questionnaire known as the Hamilton Rating Scale for Depression (HAM-D), commonly used in depression research trials. The depressed subjects who received both doses of the Rhodiola supplement experienced statistically signiﬁcant reductions in overall depression while the placebo group did not see such improvements. The Rhodiola groups also experienced statistically significant reductions in insomnia, emotional instability, and physical symptoms like pain. The Harvard Researchers also based their conclusions about Rhodiola supplements as natural remedies for depression symptoms on other human clinical trials which didn’t investigate clinically depressed patients specifically. Instead these other randomized, placebo-controlled studies looked at healthy subjects under stressful conditions, as well as subjects with anxiety or stress-related fatigue. These studies found that Rhodiola leads to statistically significant improvements in fatigue, general well-being, mood stability, motivation, concentration, anxiety, sleep, and physical and mental performance. Rhodiola is considered very safe and doesn’t interact with other medications the way St. John’s wort does. In fact, the Harvard researchers think it could help take away the side effects of many common antidepressants if used in conjunction with them. If you want to try Rhodiola for your depression, look for a standardized extract containing the naturally occurring compounds known as rosavins and salidrosides in a 3 to 1 ratio, the same concentration in which these constituents naturally occur in Rhodiola’s golden roots. Take your Rhodiola twice a day for a total daily dose of at least 340 mg for at least 6 weeks before making any determination about its effectiveness. With newfound energy and a boost in your mood, you’ll be glad you did. Lovieno N, Dalton ED, Fava M, Mischoulon D. Second-tier natural antidepressants: review and critique. J Affect Disord. 2011 May;130(3):343-57. Brown RP, Gerbarg PL, Ramozanov Z. Rhodiola rosea: a phytomedicinal overview. HerbalGram 2002;56:40-52. Darbinyan V, Aslanyan G, Amroyan E, et al. Clinical trial of Rhodiola rosea L. extract SHR-5 in the treatment of mild to moderate depression. Nord J Psychiatry. 2007;61(5):343-8. Erratum in: Nord J Psychiatry. 2007;61(6):503.
adrenal fatigue, antidepressant, antidepressants, anxiety, boost energy, boost energy levels, chronic stress, clinically depressed, depressed, depression, depression symptoms, ed, endurance, for depression, ginseng, hamilton rating scale for depression, herbal medicine, infection, insomnia 2, moderate depression, mood, natural antidepressants, natural medicine, natural remedies, natural remedies for, natural remedies for depression, pain, remedies for depression, side effects, sleep, strength, stress, supplement, supplements.